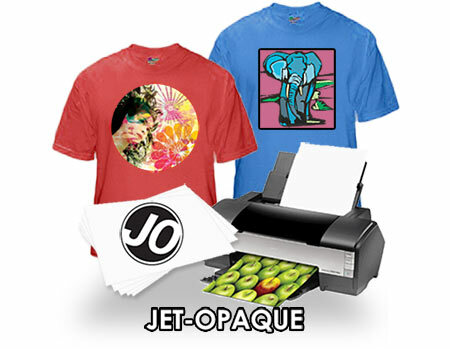 "JET-OPAQUE II" (1 Step) Heat Transfer Paper For Dark Garment Printing. This Heat Transfer Paper is designed for ink jet heat transfer printing of photos and images to dark colored T-shirts, sweatshirts and leather goods. This paper goes directly into your inkjet printer. Choose garments that have a tight weave. This is particularly important when transferring to sweatshirts. SEE SILICONE PARCHMENT PAPER BELOW!